Omnitrix is a fascinating gadget for every Ben 10 game lover. What if I tell you that now you can play an awesome Ben 10 Omnitrix game? Yeah, you can now do so! Wanna play Ben 10 Omnitrix Unleashed game online? Here it is. But, before you go right to the game, let’s have a look what this game is all about and how will you win this. 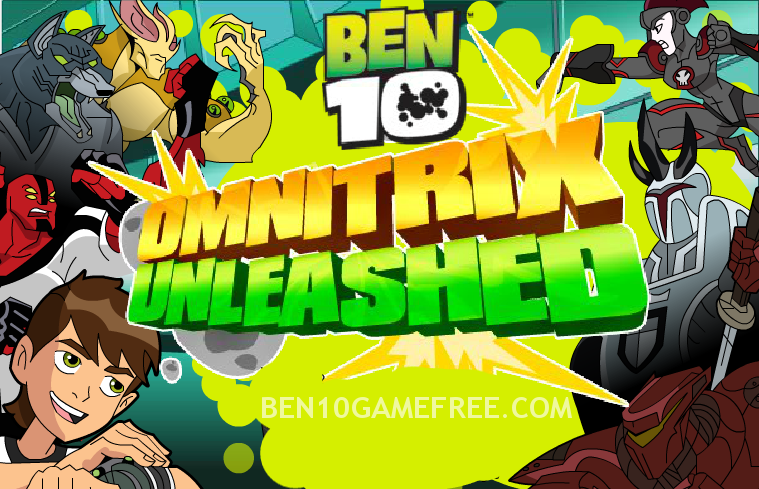 This Ben 10 game is all about the power of Omnitrix and we can bet you will love to play Ben 10 Omnitrix Unleashed online. It begins when Ben, Gwen and Grandpa Max find few men acting weirdly like chickens and Rojo’s army attacking them. Ben 10 figures out there’s something wrong inside. It’s time to use Omnitrix and save everyone from the evil Forever King and Rojo! But how? Check out the gameplay below to find out how can you help Ben 10 win the battle. Recommended: Play Ben 10 Omniverse Games online now! As already mentioned, this is one of the best ben 10 Omnitrix games you may have played. You will get three aliens – Four Arms, Blitzwolfer and Eye Guy – to choose and play. During the first level of the game, you will Ben 10 converts into Blitzwolfer and you have to fight with Rojo’s army men having futuristic laser weapons. As the game progresses, there will more enemies, aliens and you will get to play in different in locations like junkyards, streets and lifts. With new levels, you will be able to use two other aliens also. To defeat these enemies you can use alien superpowers too. Check out the list of alien superpowers available in the Ben 10 Omnitrix Unleashed game below. Remember: The Green bar on the top left indicates the number of times you can use the superpowers. Among other Ben 10 Games where aliens change automatically according to levels, in this game you have the choice to change the alien whenever you want. How? Just press C key and use the arrow key to choose the alien. Another important thing to note in this ben 10 omnitrix game is that you have to keep an eye on the health bar in the top left corner of the screen. The yellow bar indicates the Health while the green bar indicates the Super Power remaining. Whenever you kill an enemy, the superpower bar will refill. Pro Tip: Destroy the wooden boxes to collect Yellow orbs to increase the Health level. So guys, this is all you need to know about Ben 10 Omnitrix unleashed game and now its time to kill some enemies and have fun. Defeat Rojo’s Evil Army in 9 different deadly stages to Save the Day! Good Luck!! Don’t Forget to give your rating for Ben 10 Omnitrix Unleashed Game and share your tips and tricks to win this game in the comments section below.